Nedzma Dzananovic is a former diplomat, now professor and researcher at the University of Sarajevo’s Faculty of Political Science. She holds a bachelor degree in political science and Master degree in European studies from London School of Economics and Political Science and University of Bologna, as well as a Ph.D. from the University of Sarajevo. 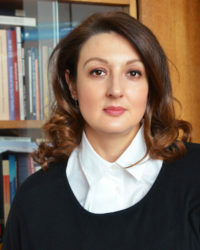 Her research interests include developments in international relations, european foreign policy, as well as classic political science fields such as political parties and populist communication. She authored two books and several articles and led and contributed to several international and local research projects.